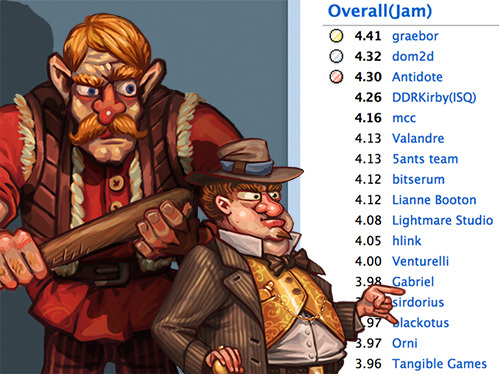 Placed 17 Overall in the Jam category at the Ludum Dare 27! Immensely proud! BTW, MacOS X version is also available here. 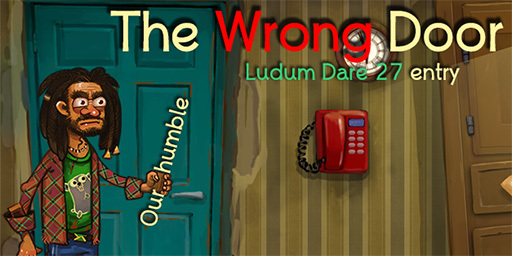 The Wrong Door is a real-time point and click adventure game with puzzles, fully voiced character dialogue, arcade car chase sequence, fancy graphics and multiple endings. Вы умеете и хотите писать хороший код? Вы умны и всегда доводите дело до конца? Программируете на Java под Android? Вы нам нужны! I know, I know, it may sound strange, because we are into iOS development and it means .pvr and .png formats. But we have to think about multiple platforms, and though we can use .png on Windows, .dds is a RAM saver. Can you use a Windows PC for development of games and apps for iOS? When we started iOS development in 2009, we knew this question must be answered positively. We wanted to use existing hardware and software we utilized for creation of Windows titles. No ready solutions were available at the time, and we set out to create our own engine. We had to solve many problems along the way. Different architectures. Different compilers.